In the spring of 2018 I was feeling rather sorry for myself. I was in London, living out of a suit­case and working for a cause with which I had become particularly disillusioned. Cynical of the wily workings of the West and armed with a whimsical flight of fancy to head east I sent my resume to The Phuket News. Whilst polite about my unsolicited advances, there was of course no position available for this random chancer. Haven’t we met before? 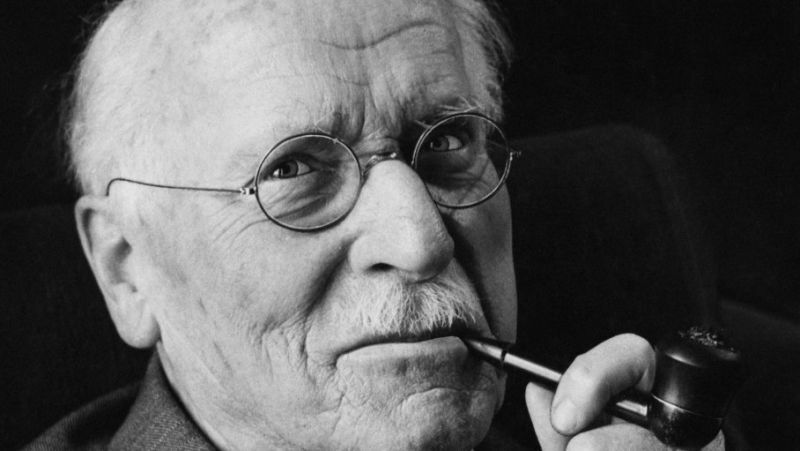 Psychologist Carl Jung. Three weeks later I received an email out of the blue that the Lifestyle Editor position had unexpect­edly become available, and within two months I was living on this exhilarating island, interviewing the mad, bad and dangerous to know and revelling in the incredible turn of events. It may all seem like a lucky coincidence and fa­vourable timing. But is there more to this tale than good fortune? Could there be a universal law which connects events by more abstract ideas such as con­scious intent? This concept has been developed into a principle known as synchronicity. Synchronicity can be described as the simultane­ous occurrence of events which appear significantly related but have no discernible causal connection. It proposes a higher intelligence in nature, which, one assumes, must work for some wider and unexplain­able evolutionary benefit. Synchronicity was first introduced by analytical psychologist Carl Jung. Jung’s belief was that just as events may be connected by causality, they may also be connected by meaning. He introduced the concept in the 1920s, but further researched and developed the idea into his book Synchronicity: An Acausal Con­necting Principle, published in 1960. For those that are interested, I must warn you it’s a heavy going and rather scientific read. The idea of synchronicity as a law that extends beyond mere coincidence is widely rejected in the aca­demic community. But is that short-sighted in their understanding? The sceptics and scientific minds amongst you may be more intrigued to learn that Jung developed the theory after several discussions with Albert Einstein and the pioneering quantum physician Wolfgang Pauli. Why the relation to these eminent scientists? Because this exact phenomenon, known as ‘entangle­ment’, is observed in quantum physics. Two physical particles that have previously come in contact with each other have later been found to interact in­stantaneously, despite now being separated by vast distances. So is the idea of an interconnected universe really so strange? 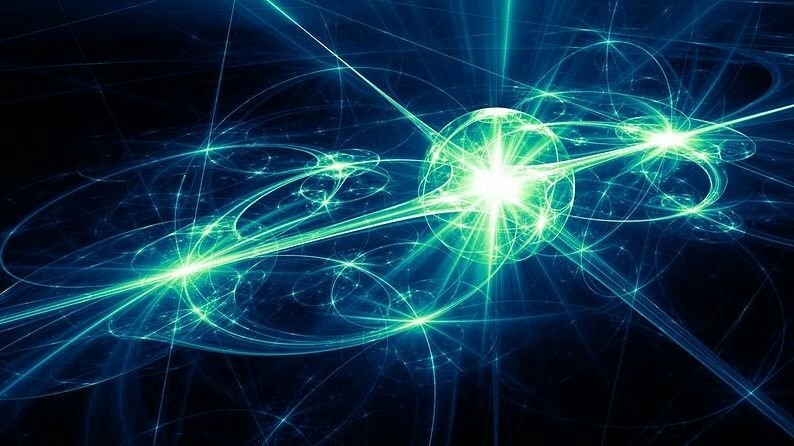 If it can be observed in the behaviour of subatomic particles, surely it stands to reason that the same principle can become manifest higher up the sentient chain of life as more conscious and fantasti­cal events. Perhaps such ideas are just science that has yet to be discovered? After all, 400 years ago it was heresy to believe in heliocentrism (that’s a fancy way of saying that the Earth is round and revolves around the Sun). There are, of course, great examples advocating the potential for synchronic­ity. Such stories entertain the human spirit, but just think about the scien­tific probability of the following events occurring. In 1805, French writer Émile De­schamps was treated to some plum pudding by the stranger Monsieur de Fortgibu. Ten years later, he encoun­tered plum pudding on the menu of a Paris restaurant and wanted to order the dessert, but the waiter told him the last dish had already been served to another customer who turned out to be de Fortgibu. Many years later in 1832, Émile Deschamps was at a dinner and was once again offered plum pudding. He recalled the earlier incident and told his friends that only de Fortgibu was missing to make the setting com­plete – and in the same instant the now senile de Fortgibu entered the room, having gone to the wrong address. In another incident, American novelist Anne Parrish was browsing bookstores in Paris in the 1920s and came upon a book that was one of her childhood favourites – Jack Frost and Other Stories. She picked up the old book and showed it to her husband, telling him of the book she fondly re­membered as a child. Her husband took the book, opened it, and on the flyleaf found the inscription: “Anne Parrish, 209 N. Weber Street, Colorado Springs.” It was Anne’s very own child­hood book. Before you think such bizarre scenarios only occur to writers with inventive imaginations who just hap­pen to find themselves in the French capital, consider this tale of a German woman from Strasbourg who in 1914 took her son to be photographed. She bought a film plate, and after the photo was taken said she would return in a few days when the portrait was ready. Unfortunately, World War I broke out, and she was not able to collect the photo. Two years later she was now liv­ing in Frankfurt and gave birth to a daughter. She was still disappointed that she didn’t possess any photos of her children. The mother again bought a film plate and another photo was taken, this time of her daughter. When the new photo plate was de­veloped it turned out to be a double exposure. Her daughter’s image was superimposed on the earlier picture of her son. Incredibly her original film plate was never developed and had somehow ended up in Frankfurt 100 miles away. She had bought the same plate with the original photo still on it. It’s easy to see why synchronicity has mass appeal; it provides mean­ing and order in an otherwise random universe. And there’s comfort in that. It’s the same principle of how organised religion manages to attract a mass and dedicated following despite being un­able to provide a shred of indisputable evidence. Sceptics and statisticians may point to the law of truly large numbers, or Littlewood’s law which states that a person can expect to experience events with odds of one in a million (defined as a “miracle”) at the rate of about one per month. Either way, the only thing we can truly be sure of is that life, despite being particularly bizarre, is also sur­prisingly grand. I think I’m about due another mira­cle. Hallelujah.